As grownups we may have complicated comfort levels with bugs, but your kids are fascinated by them. Now is the time to engage them on the topic, before they potentially inherit our adult phobias. One of the best ways to accomplish this is to relate insect activity to their own backyard or community garden. Understanding the role of insects in gardening and farming can be perplexing. The mind tends to consider the negative relationship between the two, inciting visions of ravaged crops. However, when it comes to organic gardening, no instrument can serve your child’s gardening project quite as well as insects – the right kind of insects, that is. These insects, are affectionately known as beneficial bugs. Beneficial bugs are those species that perform valued “gardening/farming services” such as pollination and pest control. That’s right, bugs can be used to battle bugs. Explaining it to your children in this manner will really get them excited about the concept! Let’s take a look at which ones your children will want to invite into their garden. Ladybugs, or Coccinellidae, are cute as a button and their likeness is used on and in children’s clothes, books, cartoons and movies. It’s probably the most popular of insects. Who doesn’t love them? Well, plant-destroying aphids for one! 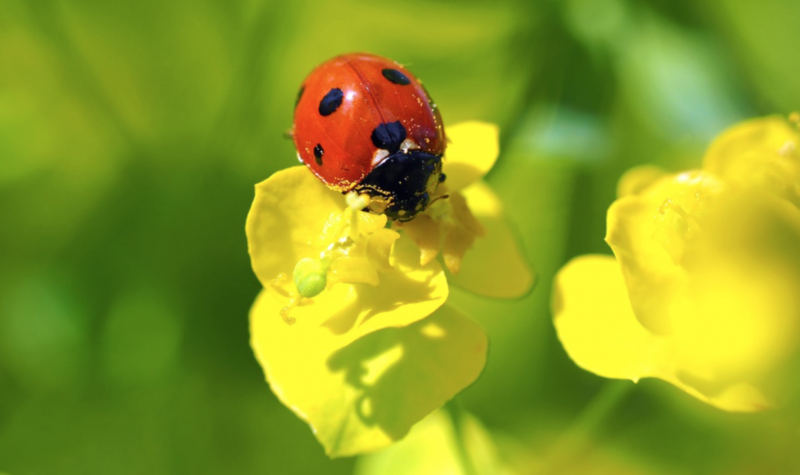 There are over 6000 species of ladybugs, forming a global battalion against mildew, aphids, and mealy worms. Ladybugs are credited as saving the entire citrus industry of California. You won’t find a better bug to invite into your child’s garden. The praying mantis, or mantidae, is one of the most recognizable insects in the world. Kids are quick to label it as the coolest looking bug around and it’s about to get cooler. This species is often considered to be a perfect hunter, gobbling up all varieties of garden pests in its path, putting it at the top of the garden insect food chain. The only concern, is that the praying mantis has no regard for the health for your garden’s other beneficial bugs, and will devour them as well. If your garden depends on the activities of many beneficial bugs then you will want to control the praying mantis population. Regardless, this insect helps maintain the ecological balance required for sustainable and successful gardening. 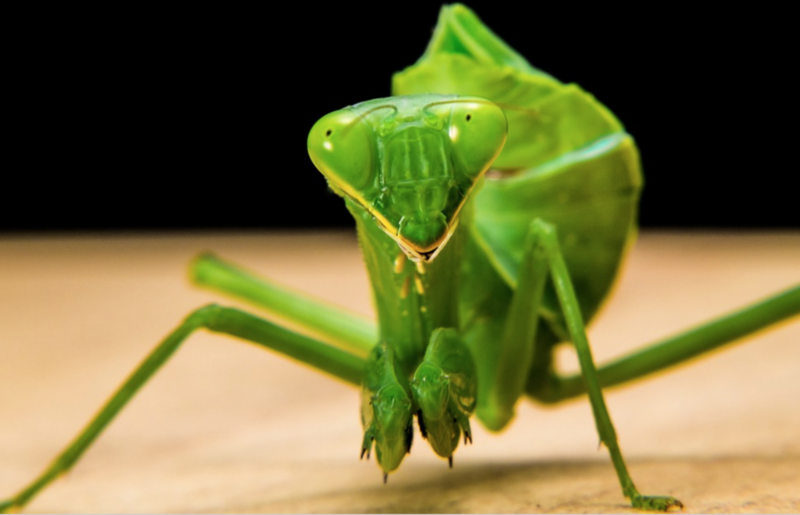 Fun fact: The praying mantis can swivel it’s head nearly 360 degrees and because of its pseudo-pupils it appears to make eye contact with you. Perhaps it can? Bees, or Anthophila, are probably the most commonly known beneficial bugs, given their capacity for pollinating flora and vegetable based plants. Bees are primary pollinators of entomophilous plants – those that are pollinated by insects (versus wind pollination). 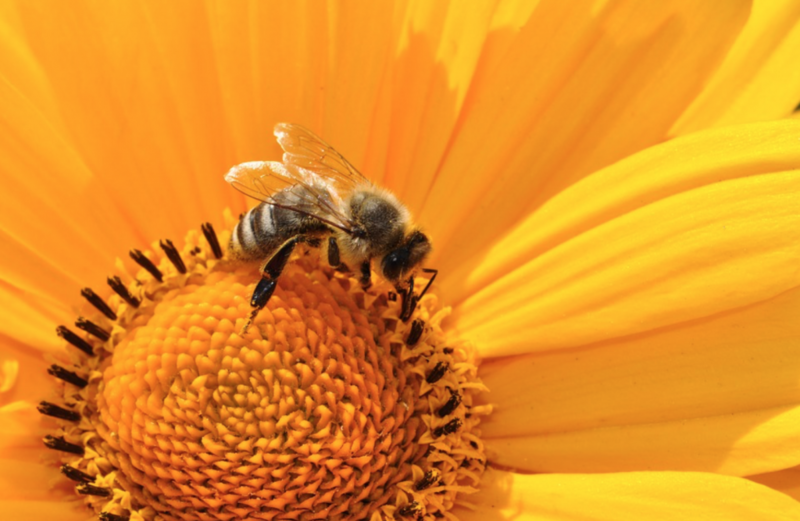 Approximately 30% of the world’s edible crops depend upon bee pollination. This indicates a direct correlation between their health and our own. When it comes to your child’s gardening project, bees are an essential part of the eco-system. Like their cousins (bees) wasps, or Hymenoptera, are a primary pollinator. What makes wasps even more effective, is that they are also predators. 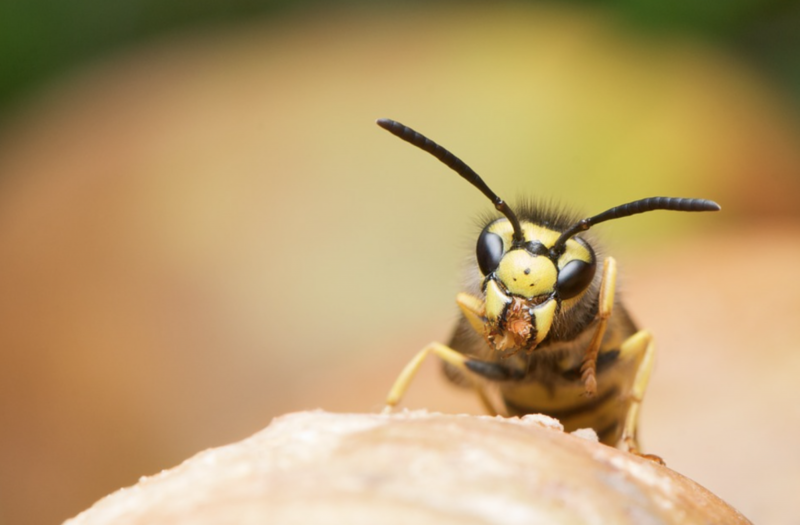 Wasps feed upon small insects and the yellow jacket variety scavenges dead insects and larvae in your garden in order to feed them to their young. Wasps can be a nuisance to humans in the garden, so you will want to keep the population in check, but a few certainly help balance out the ecological profile of your child’s sustainable garden. 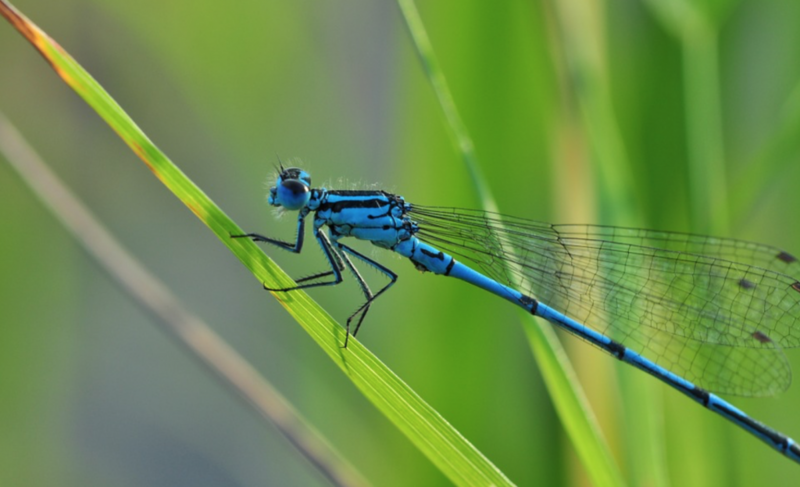 Dragonflies, or Anisoptera, are in contention for the ladybugs’ title when it comes adored insects. Children are obsessed with this colorful and plane-like species. In addition to their aesthetic beauty, dragonflies serve your garden well as a predator of aphids, flies, midges, mosquitoes, and will even help you manage your wasp population should it get out of control (sorry yellow jackets). Not as pretty as some of the other bugs mentioned above, the ground beetle, or Carabidae, is no less effective in the garden. As per their name, this species’ predatory work takes place down below in the soil. 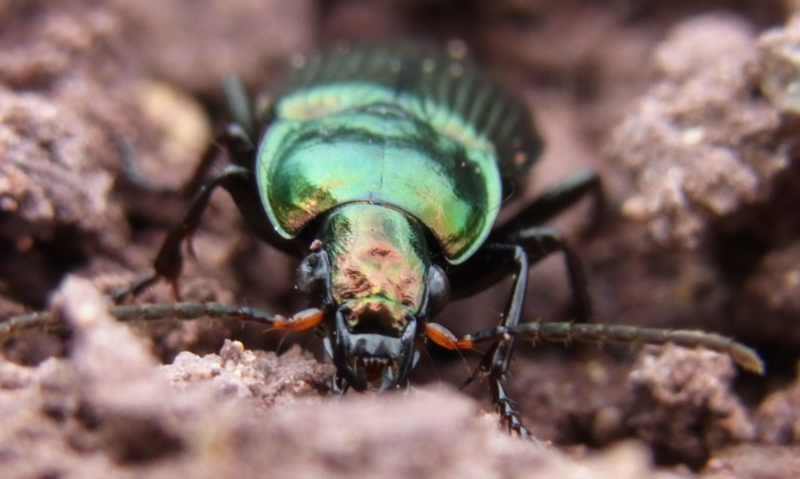 Ground beetles gobble up slugs, snails, cabbage maggots, and other creepy crawly pests that are known to ravage your garden. This beneficial bug also enjoys feasting on weed seeds which further protects your crops. Lacewings, or Neuroptera, consume a disproportionate number of aphids, caterpillars, mealybugs, scales, thrips, and whiteflies. What makes lacewings so unique is that even their larvae serves as an effective predator, devouring hundreds of aphids before pupating. Soldier beetles, or Coleoptera, form an organic army against the usual suspects of pests, including aphids. But this species is also an effective combatant when it comes to caterpillars and other soft-bodied bugs. 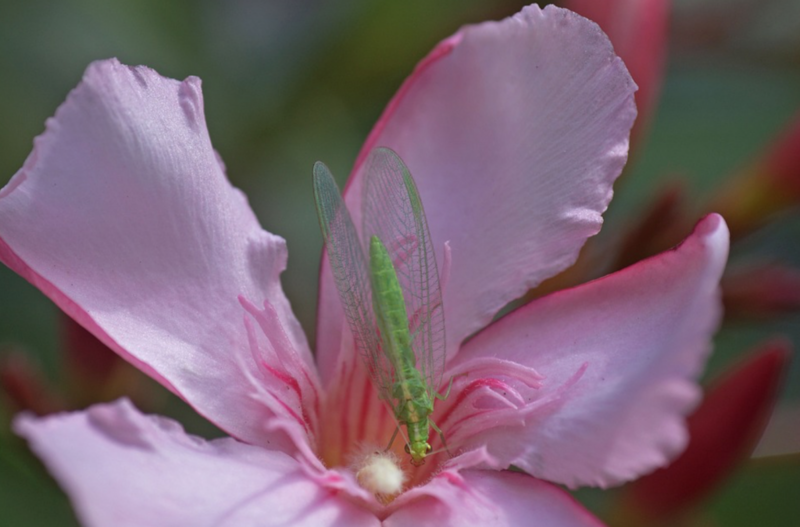 Like lacewings, this insect’s larvae are also weapons against harmful garden bugs, feeding on the eggs and larvae of grasshoppers, moths and other beetles. Another soldier in the war against garden pests, the Podisus maculiventris is often mistaken by your children as a “stink bug” (Halyomorpha halys), their odorous cousin. 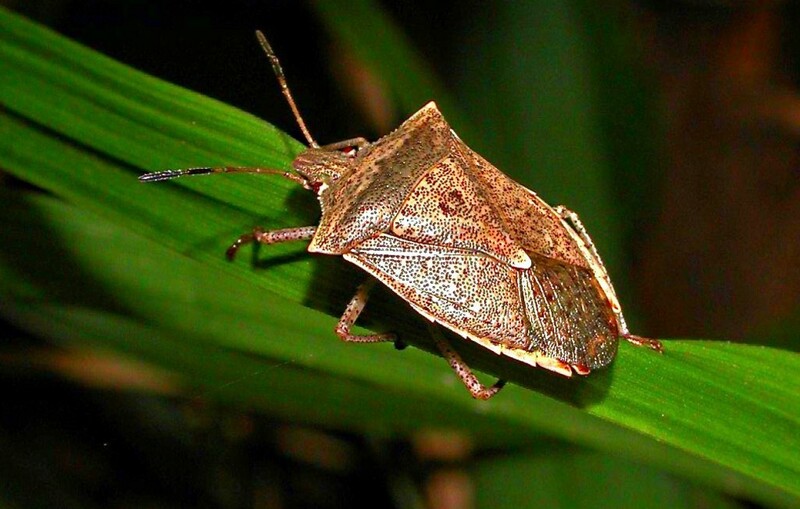 Distinguished by its pointed shoulders, the spined soldier bug uses its sharp proboscis to attack unwitting cabbage loopers, moths, army worms, caterpillars, flea beetles and potato bugs. 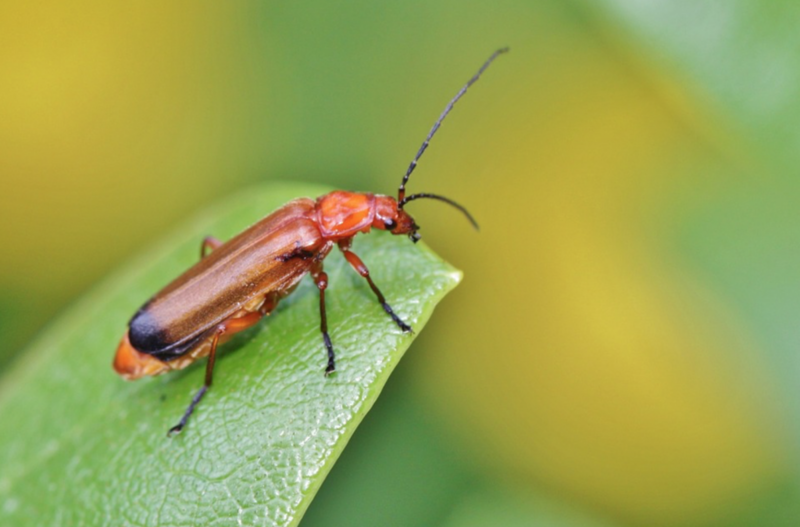 One of the great things about the spined soldier beetle is that even when your garden is free of its favorite delicacies the insect feasts on plant sap, without ever harming the plant itself. Looks like this beneficial bug has as much of a sweet tooth as your kids! 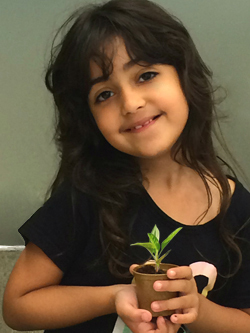 For other gardening tips and online tools for children to learn more about sustainable living, visit the Plant a Seed & See What Grow’s Kids Corner.